Gong Xi Fa Cai! One more contest giveaway to ring in the lunar new year. Music is a big thing in my family, so we love instruments and sound equipment. Food for the ears, you could say. 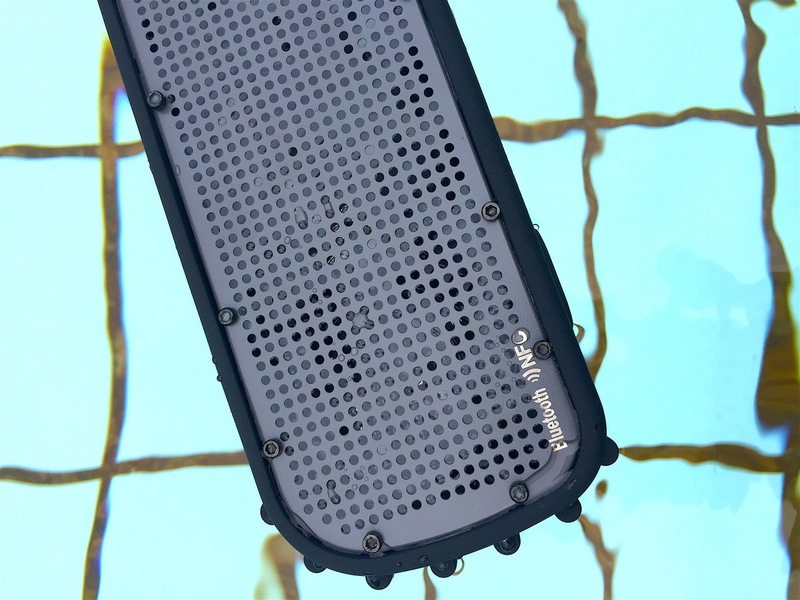 I recently got to review the a waterproof Bluetooth speaker from Awavez, a Singapore-based company specialising in rugged gadgets and accessories. This thing really floats in water! 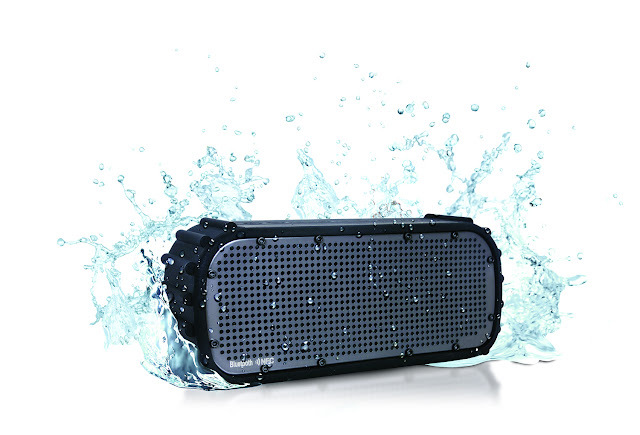 It's not often I see a waterproof, shockproof, drop-proof portable speaker that is built to withstand military standard outdoor activities. 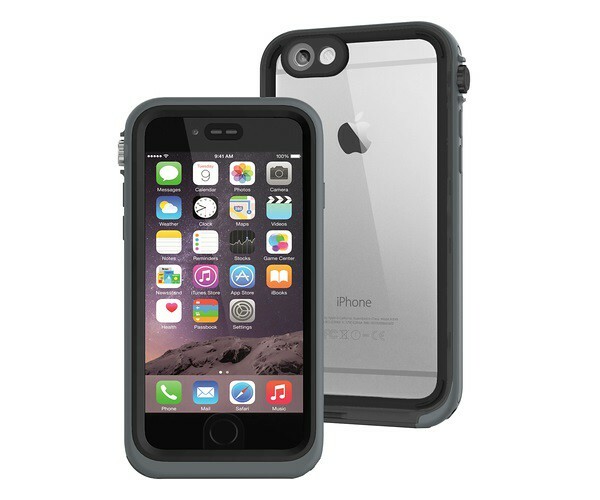 The tough silicon casing sure looks industrial grade. This is the thing you want to bring on your sporty adventures - hiking, cycling, kayaking - or simply to amp up any beach or pool party. It might even come in useful to play music in your bathroom. The speaker is rated IPX7 which means it can endure water exposure of up to 1m depth for up to 30 minutes. But don't try to take it deep sea diving, ok? The whales need to sleep. The sound is decent, with substantial volume. It charges fully on three hours, for a full eight hour playback duration. It's not only Bluetooth enabled but also NFC ready(Android folks, you can use this instead of Bluetooth to save some battery). It can also take a micro-SD card, microphone or auxiliary input. The speaker is available online at S$160 with standard six months warranty. Add S$20 for an extra six months warranty (full year). Awavez has kindly extended a special offer - use the code "CAMEMBERU" (not case sensitive) and get S$20 off the speaker, PLUS their iPhone 6/6s waterproof shockproof casing worth S$140 for free! This rugged handphone casing can go up to 8m deep in water and allows you full access to all the buttons, camera, flash, Touch ID etc. The iPhone can become your underwater camera! Code is valid until 29 February 2016. I will prefer to award the prizes to genuine folks who aren't contest junkies (i.e. profiles full of contest entries). Winners will be notified via email or social media. Here's wishing you the very best for the Year of the Monkey ahead!